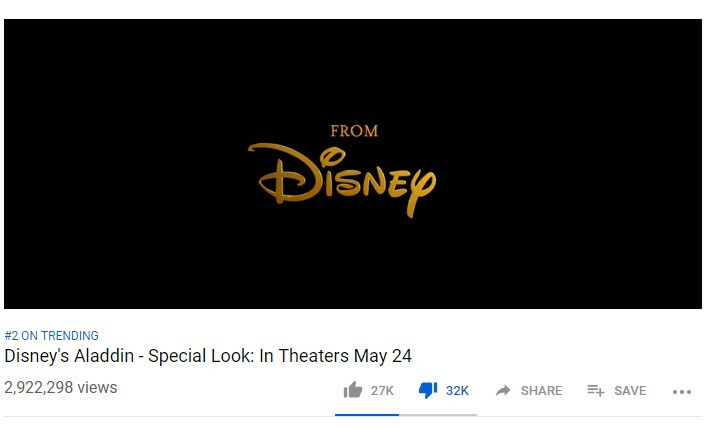 Look at those dislike numbers vs the likes… Yes, I helped. I dunno. Genie looks like a CGI mess with a badly green screened Will Smith face stuck on it. Aladdin looks meh… Jasmine looks OK… Jafar just looks boring and his voice is missing that epic gravatas. I’ll just skip this mess and wait for the CinemaSins.